The Versatrax 50™ is a remotely operated crawler vehicle for inspecting pipes as small as 50 millimetres (2 inches) in diameter. Based on the Picotrac™ transporter modules and the Crystal Cam® Onyx camera, the Versatrax 50™ raises the bar for confined space entry and inspection. 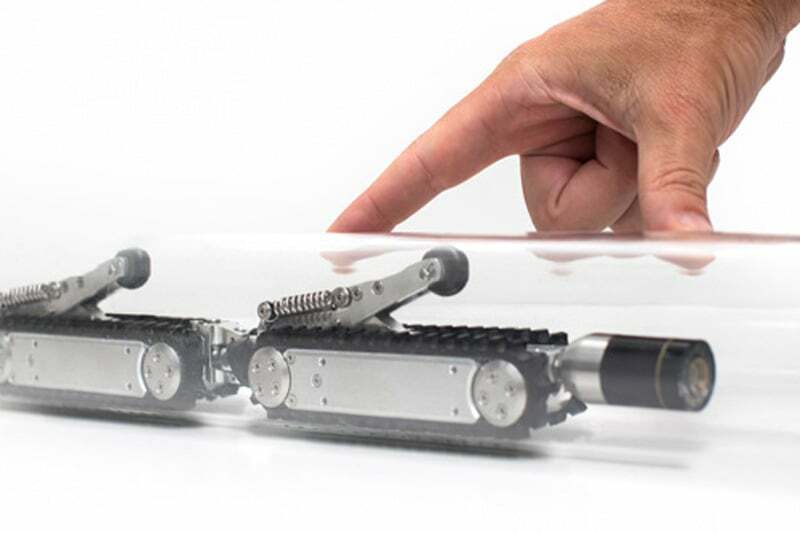 The standard crawler vehicle comes with a simple camera and LED lighting, but it can easily be outfitted with other sensors for specific client needs. A first for the industry, the Versatrax 50™ provides real-time colour video in small pipelines, ducts, channels and other tight spaces. But don’t let its small size fool you — the Versatrax 50™ features a 4.5 kilogram (10 pound) pull rating with an option for higher torque versions. Capable of operating in air or underwater, and with cables as long as 100 metres (330 feet), the VT50 can get to areas that are simply inaccessible with other technologies. Contact us to find out more about the Versatrax 50 or any of our other robotic crawlers and tractors, or click to view our full pipe inspection camera range. Standard Components: 2 x Picotracs™, 1 x Mini Crystal Cam® camera, 60m / 200ft tether, Versatrax™ power supply / controller in Pelican® case with Digital Video Recorder and sunlight readable monitor. 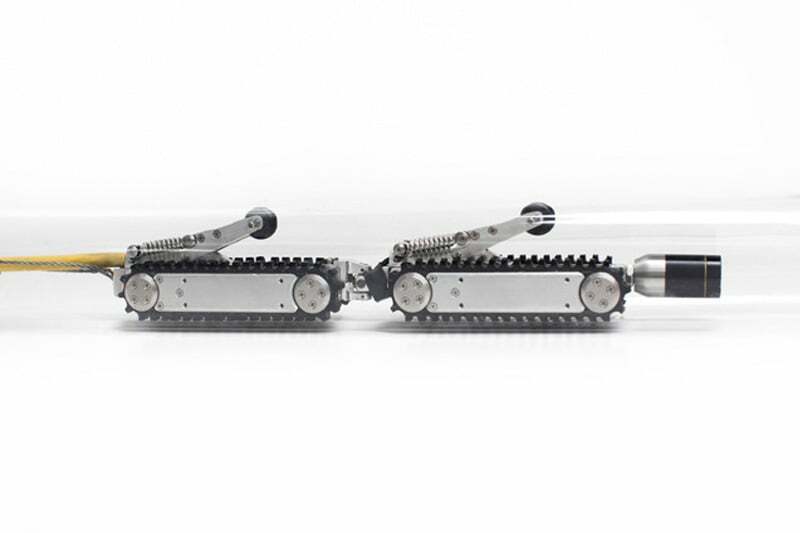 The Inuktun NanoMag miniature crawler system is ideal for steel structures where vertical, horizontal and/or inverted pipe inspection is required.